Yes, you can still see your courses exactly like your students do. Everyone of your Blackboard courses comes bundled with a student account that allows access to every area of your course (including “My Grades“) as a student. Remember to log into your course in your faculty role takes using the Blackboard link on our University homepage. 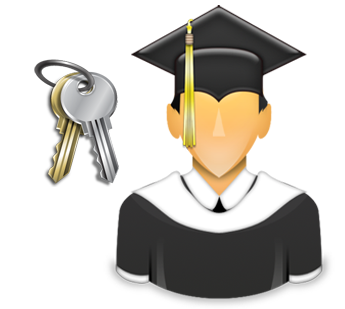 Open the course from which you want to copy (that is the source or existing course containing the source content). In the Control Panel (Navigation panel on the left side of the course page), under Packages and Utilities, click Course Copy. Under section 1 choose copy course materials into an existing course. In the Destination Course ID field, type in the course name or Browse to locate it in the Course List. 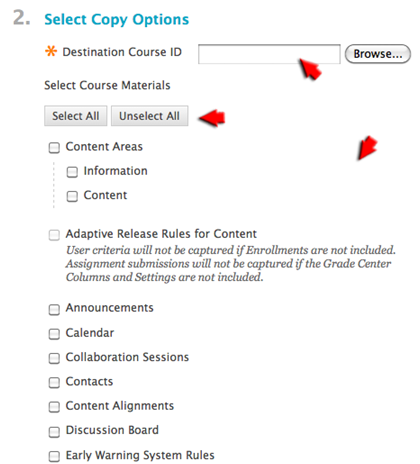 Then select the course materials that you want to copy over to the existing destination course or course shell. NOTE: A course copy operation cannot be completed if you do not select at least one of the following areas: Content, Staff Information or Settings. If none of these options is selected a warning is displayed. There is an option to Select All or Unselect All. Do NOT copy the Tegrity link in your old course Navigation menu as it will point to the wrong location. Your Fall 2012 course will already have a Tegrity Classes link that you can use. 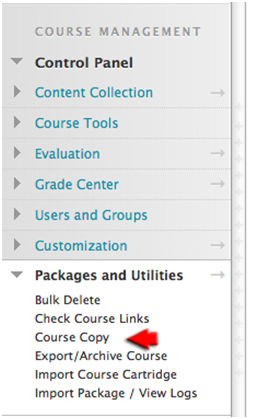 Select Copy links and copies of the content (include all Course Files) under File Attachments options. Under Enrollments do not check Include Enrollments in the Copy. 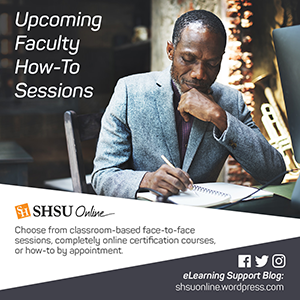 Blackboard Learn will replace the current Blackboard System for face-to-face classes this fall as recommended by the Faculty Senate. This change will take place on Wednesday, August 15, 2012. All of your courses will be available when you log in on or after August 15. Students will be loaded on the first day of class as always. Our staff is standing by to help you with anything you need. The system will look different, but you’ll love the improvements! We’re happy to help in whatever way works best for you.